Yuna Choi, a senior majoring in Psychology and Dance at UC Santa Barbara, is the team captain in charge of coordinating the Mini Beach Ball dance competition to be held at UCSB later this year. Choi has been practicing dance since she was three, and by now has competed in the categories: American Smooth, International Standard, International Latin, and Nightclub dancing. Mini Beach Ball is a collegiate dance competition at the state-level, planned for May 12, and just the third one hosted by UCSB. Different from the larger Beach Ball competition held in the Fall, Mini Beach Ball invites amateur level dancers from nine different schools, each expected to register around six contestants. The competition is hosted by Cotillion, a dance club at UCSB that hosts social dances and teaches different forms of Ballroom, Latin, and social dance. 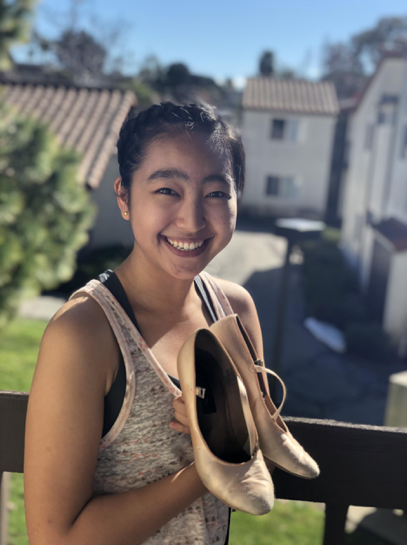 Unlike Choi, most Cotillion members are not in the dance department but seek an opportunity to participate in competitions at different schools in California. In a recent interview, Choi talked about the upcoming dance competition and what she hopes to accomplish by coordinating this year’s Mini Beach Ball competition. Through Cotillion, you get to see and participate in a large number of competitions. How would you say that UCSB’s Mini Beach Ball offers something different? Mini Beach Ball is different because it’s a beginner comp, so it caters to dancers at lower levels, creating a low stress environment where they can practice competing. This way they don’t feel the pressure of a bigger competition. It also serves as a way of bringing all the different schools together, because at bigger comps you’re mostly isolated to your team, so you don’t get to talk to other teams as much. But at Mini Beach Ball we try to emphasize networking among schools. I was initially surprised when I found out that it’s only five of you on the planning committee. How do you guys go about starting the process of such a big task with such a limited number of hands? The main point of this year has been working with the three people that will still be here next year, and making sure that they will be able to run things smoothly. But as far as the actual planning of it, we just have a lot of small details we have to work out. Like with the university, meeting with Recreation Center people, making sure all our dates are in-line, contacting the schools and their respective Comp Team Captains, and gathering all of our materials. It is a small-scale comp, but everything that would go into a larger one still has to go into it. And five people is actually a lot, last year we only had three. What are your personal responsibilities, and which do you find most gratifying? I’m the head organizer of the whole thing, so my responsibilities involve delegating tasks, and overseeing to make sure nothing gets overlooked at all. But most gratifying would be my big role of maintaining my connection with all the other schools, so it feels good when you hear that everyone is having a good time at the comp. At the previously held Beach Ball this past fall quarter 10 schools attended. For Mini Beach Ball you are preparing to host nine schools. How would you describe the dynamic at these competitions that bring these dancers from different communities together? Yuna Choi competing at the UCSB Beach Ball dance competition in 2018. Photo by Stephanie Wang. What do you feel this experience, of planning and then performing in dance, has to offer that you wouldn’t be able to just watching, or just performing? Regulating the whole event gives the experience of seeing all the behind the scenes of what’s happening. But then, if you’re just performing, you’re very focused within yourself, and just on what you need to do well. But having a responsibility role on top of competing, I’m not just thinking about myself the entire time, and I’m very much aware of what is happening. So with that I’ve had the opportunity to be able to interact with the other schools more, and make connections that way. Omar Reyes is a third-year student at UC Santa Barbara, majoring in English. He conducted this interview for his Writing Program course, Journalism for Web and Media.